Hands up who’s looking forward to Falmouth Sea Shanty Festival? We can’t wait! As well as being a major sponsor of the Falmouth Classics which takes place on the same weekend, we’ll also be embracing the singing to support the RNLI. One of the biggest maritime music concerts anywhere in Europe, this festival is one not to be missed. Groups travel from far and wide, for an event that promises to fill the town with music and infuse Falmouth with a great community spirit. 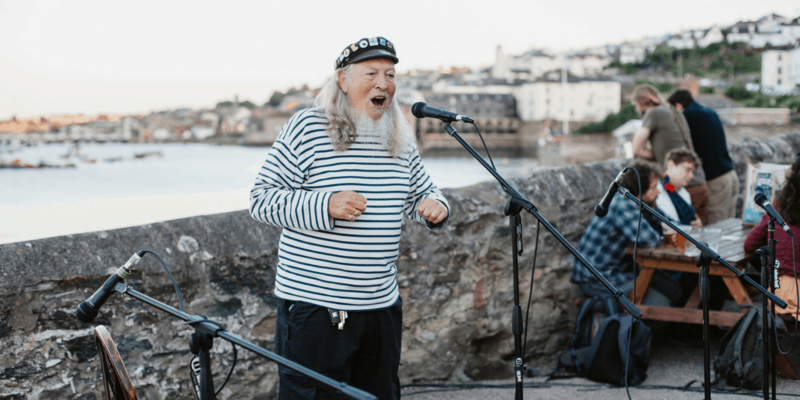 The Working Boat is an official venue of the Falmouth Sea Shanty Festival this year and will host 16 performances throughout the weekend. We will also be preparing scrumptious homemade pizzas in our new pizza oven as well as firing up our barbecue and serving plenty of pub grub from midday until late each day. So moor up, sink a few pints and start toe-tapping to the shanties! To book a table at The Working Boat, please call 01326 314283. We will be busy throughout the weekend, so bookings are highly advised if you would like to eat with us.